Boys & Girls Nursery have donated some stunning pink Begonias and blue Lobelias as part of the ‘Flowers4Croxley’ Planting Day which happens annually in the late spring. They are sponsoring the two baskets which are situated outside Croxley Green Station and will bring a dash of colour to the local area for the residents and commuters to enjoy during the summer months. 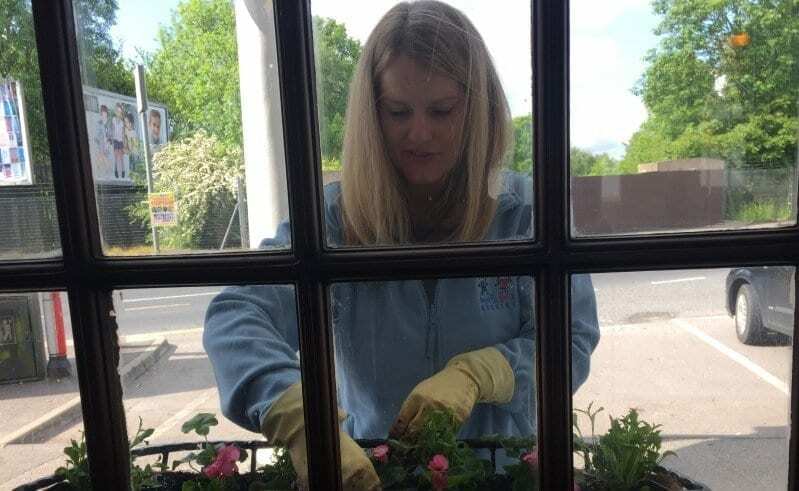 Natasha Kirby, Director Boys & Girls Nursery, added: “We love taking an active part in the community and this scheme is a great way to make the local area even more attractive. Many thanks to Flowers4Croxley for allowing us to be part of this wonderful day”.